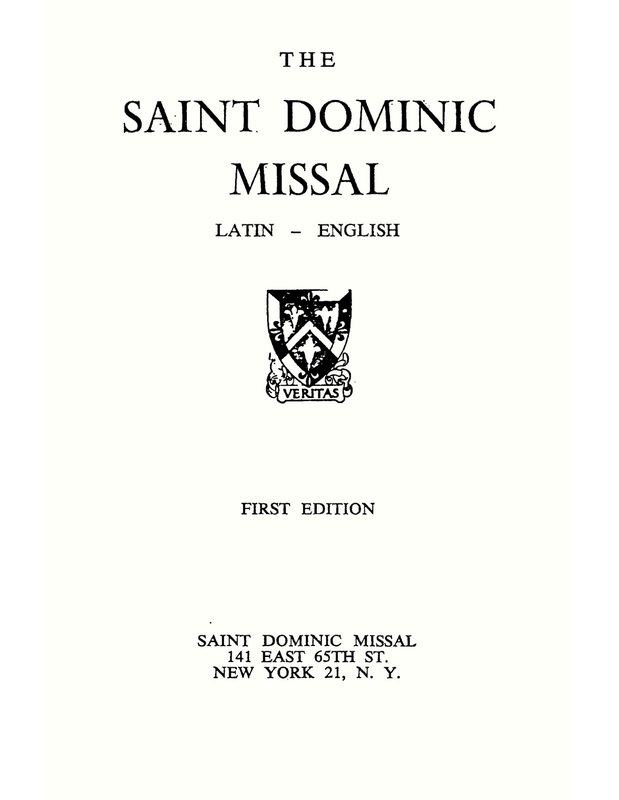 I am happy to announce that though the labors of Fr Sebastian White, O.P., I can make available the text of the Saint Dominic Missal: Latin--English (New York, 1959). This hand missal contains all the changes and reforms from the 1950s and so represents the Dominican Rite as of 1962, which is the form in which it is to be used today. I regret that Dominican Liturgy Publications cannot reprint this book as it is over the 800 page limit for our books-on-demand printer (Lulu.com). 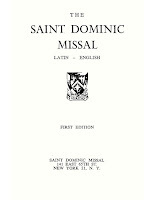 The missal PDF can also be downloaded from the left sidebar of Dominican Liturgy under "Dominican Rite Texts--Downloadable." You might want to take a look at other publications at Dominican Liturgy Publications.